While I'm fully, painfully aware of the government's reputation for inefficiency (this is my current project), one could make the argument that we might have too many training and certification requirements. But done smartly, one class can be applied for multiple certificates, which in itself is an exercise in proper planning. 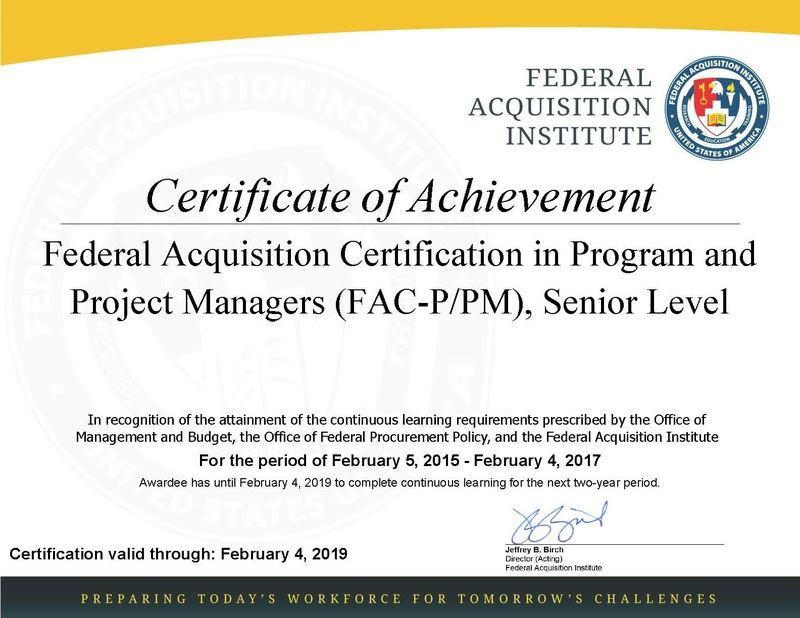 The Federal Acquisition Certification for Program and Project Managers (FAC-P/PM) program is for acquisition professionals in the Federal Government performing program and project management activities and functions. 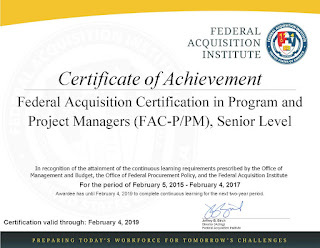 It's the federal government equivalent of the private sector's Project Management Professional (PMP) certificate. 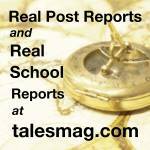 If you want to feel like you're reading through your college course guide to pick out this term's classes, take a look at the courses required to get and maintain FAC-P/PM certification. 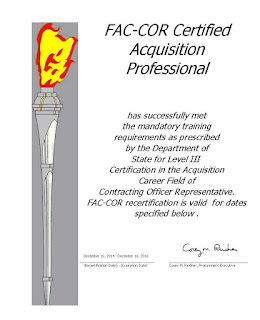 What's nice is that because this certificate is so comprehensive (80-120 training hours in two years), it can be used to meet the requirements of the FAC-COR certification. 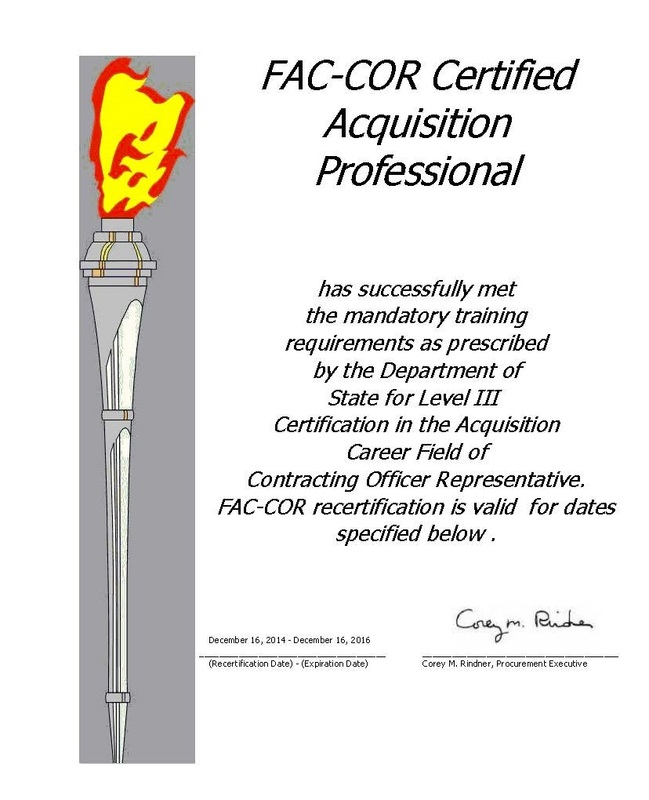 The Federal Acquisition Certification-Contracting Officer's Representatives (FAC-COR) Program plays a critical role in ensuring that contractors meet the commitment of their contracts. They ensure proper development of requirements and assist Contracting Officers in managing their contracts. Level III Contracting Officer Representatives (CORs) are the most experienced CORs within an agency and should be assigned to the most complex and mission critical contracts within the agency. These CORs are often called upon to perform significant program management activities and should be trained accordingly. For instance, our current contract is over $100M. Another course heavy certification, it takes 60 hours of training every two years to maintain the Level III certificate. 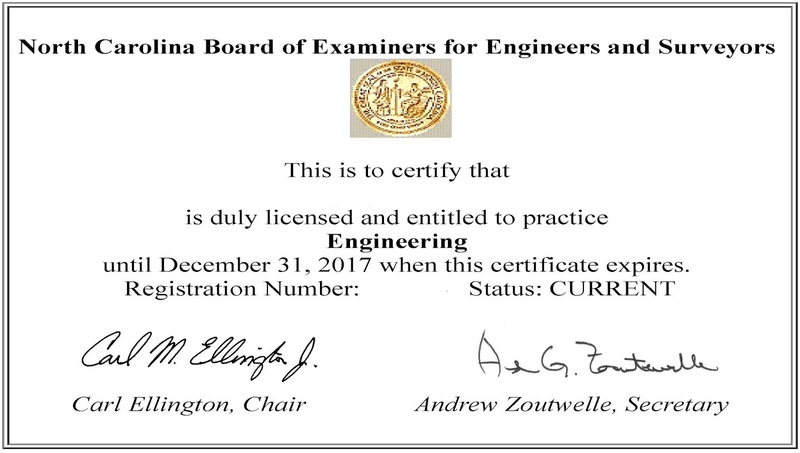 But like I said earlier, the training hours from the FAC-P/PM count towards this, so it's basically an automatic re-certification (but the process to renew can be cumbersome). Fun fact: In order to prevent corruption, CORs are required to file an OGE 450 (financial disclosure) and receive awareness training for trafficking in persons. 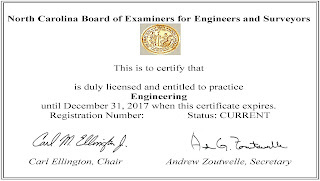 To be a Professional Engineer (or Architect) you usually have to take one or two tests for professional licensure, and then continuing education for annual renewals.